On a large rimmed baking sheet, toss cauliflower florets with olive oil and 1/8 teaspoon each of salt and pepper. Roast in 450°F oven for 25 minutes, or until stems are tender. n large bowl, whisk lemon juice, olive oil salt, and pepper. 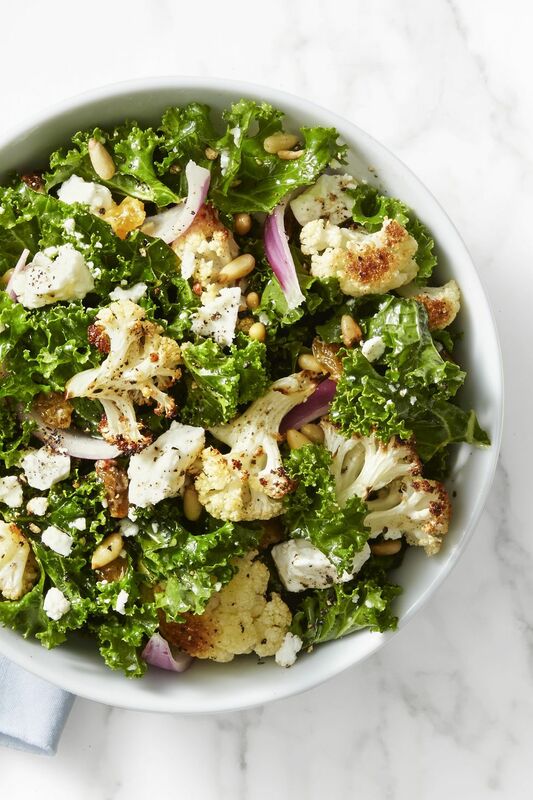 Toss kale with dressing. Let stand at least 5 minutes. Then add cucumber toss a second time.